Design of the poster made by the student Ana Paniagua. Our school is working in an audiovisual project encouraging our students to do films in the stop motion technique. Next week is the last in the school year and to celebrate this we will have the week of the animation. also will come with us. And the artists Salvador Carbonell Bustos and Elena Barreto. 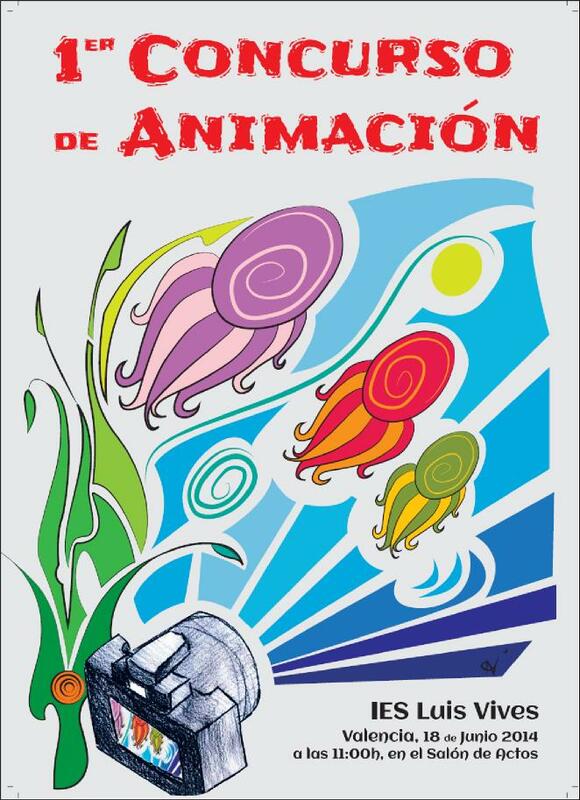 And on Wendesnay we will celebrate the awards of animation with people of the professional world in this field: Susana García Ramos, teacher of animation in the Fine Arts Univerity, José Antonio Hurtado, cinema programmer in the Valencian Film Archive and Borja Flors, from the producer Clay Animation. We are very enthusiastic with this activity that we will share with our European partners in Athens next November.